Read 2 times. Last read January 13, 2019. "This ain't your home no more." The young Effie was sent away in marriage with Rev Jackdaw by her father, in a time when girls could get married at the age of ten, just by lifting a Bible. After a grueling trip, she was left alone with Bridget, or Rooster as the reverend calls her. Guilt feelings about Bay Sally's death kept her from loving Bridget. It is a story of suppression, patriarchy, prejudice, perceptions, hopes, dreams and broken promises - Rev Jackdaw se vision of his own Missionary in Omaha, Mae who was traded at eight for a gallon of whiskey with the promise of a new dress, Bridget who lived for the day Mum and Pappy came for her and Effie who dreams of a house and a family. In places Effie's voice become muddled with the narrator's, as if she is just too wise for a girl her age, given her upbringing and social isolation. However, she also was confused enough to be totally incompetent and without any social skills most of the time. Bridget's brother Rowan told her that her Mum is a Selkie, and that all water, rivers and streams are connected. Clinging to her grandma Teegan's braid and the mythical Nera kept her going, always hoping to be reunited with her mum and her pappy. 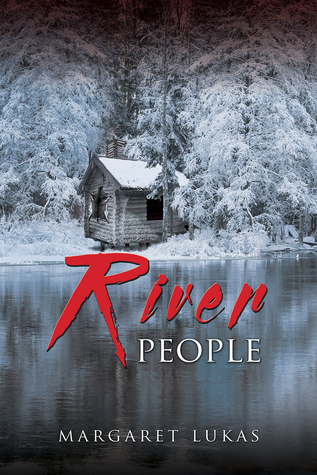 Sign into Goodreads to see if any of your friends have read River People.